WE HAVE THE FIVE WINNERS !! We want to send a big thank you to everyone who participated in the Sky Ocean Rescue contest and helped make it a success. And a special congratulations to Steven Boath, Sergio Del Rosso, Anna Krikke, Carlos Freire, Holger D_RR, and Anna Enevoldsen, the winners of a Team Sky 2018 Tour de France jersey prize. 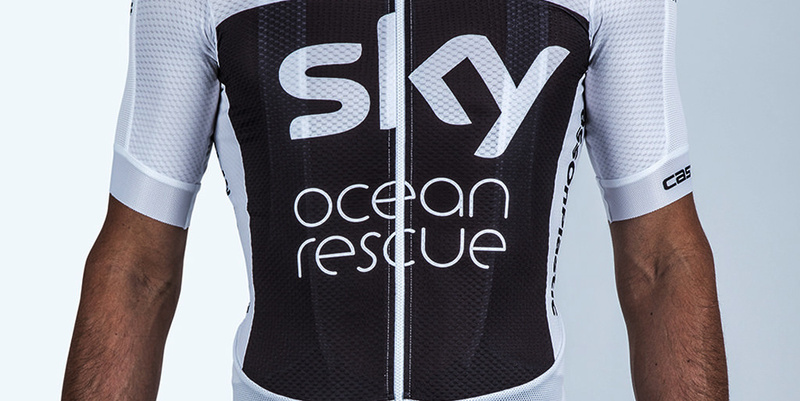 WIN ONE OF FIVE SKY OCEAN RESCUE JERSEYS! for the 2018 Tour de France and this is your chance to win the same jersey which the riders will wear. Just enter your details below for a chance to win. YES, please send me further news and exclusive information from Castelli. and ends at 08:00 p.m. (CET) on July 17, 2018. 3. The Castelli random-number generator will pick the lucky winners. 4. Winners will be announced on July 18, 2018.